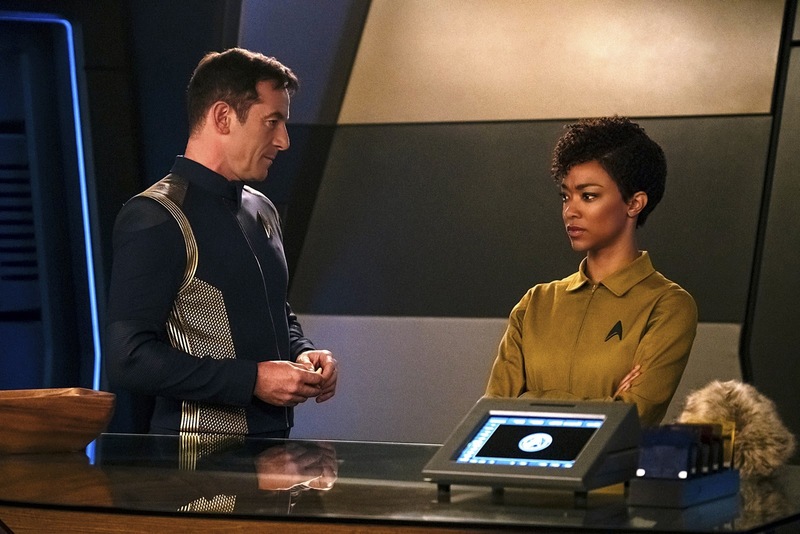 After two opening episodes which seemed to act as a prologue to the series the question going into the third episode of Star Trek: Discovery was whether it would transition into more familiar Trek territory, seeing as it was introducing more characters and the titular Discovery spaceship. Well good news. This episode was a definite improvement over the last two and the first to really give hope that this might be a series worth sticking with. 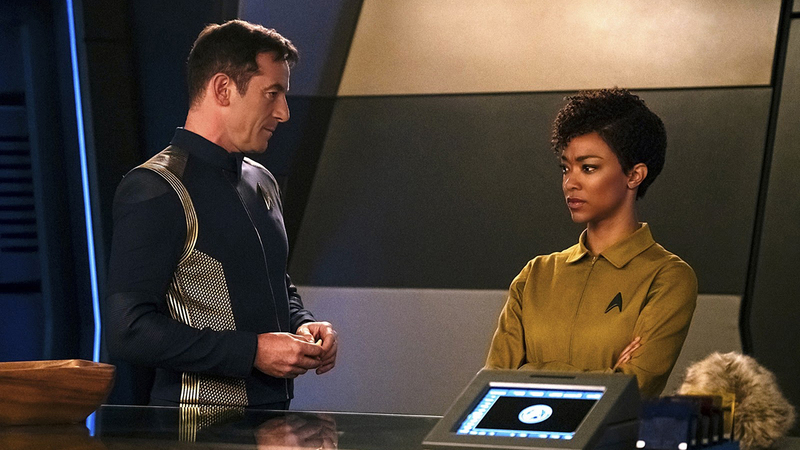 It begins sometime later after the events of the last episode (can’t remember if it was 6 weeks or months), with our main character Michael Burnham aboard a prisoner transport ship which is then intercepted by a Federation ship, the starship Discovery. Once aboard, Michael meets with the ship’s captain, Captain Gabriel Lorca (Jason Issacs), who comes off as hard to read. He’s clearly a military Captain in wartime, and a straight shooter, but then has a random pet Tribble on his desk. The Captain asks Michael to help out with some grunt work, looking over computer code for problems while she’s waiting to be returned to prison. 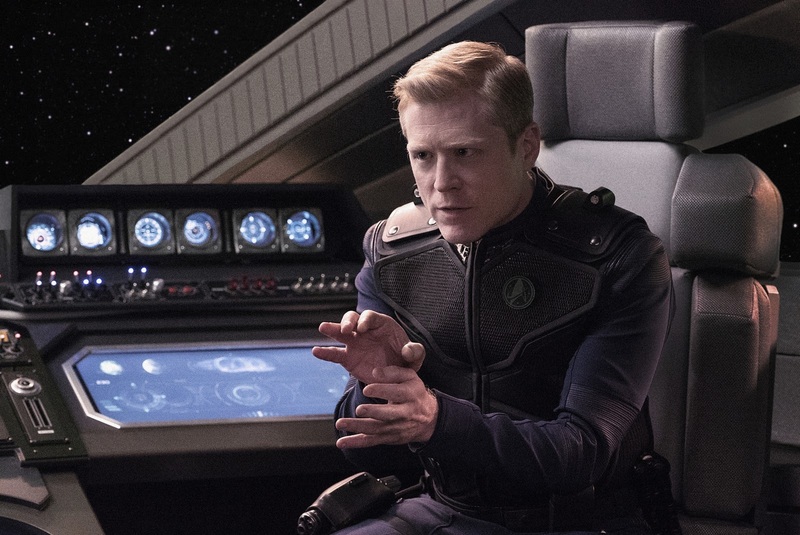 This allows Michael, and thus us, to meet some of the members of the ships crew, including roommate Cadet Sylvia Tilly (Mary Wiseman), a red-haired nervous nelly who’s quick to make friends, and Science Officer Paul Stamets (Anthony Rapp), who doesn’t seem to care for the Captain or Michael. We learn he’s an astromycologist (study of fungi in space), and he gives an interesting speech to Michael about how biology and physics are intertwined. In addition to the newcomers, she also runs into a familiar alien face, Saru, who has been promoted to First Officer. Their reunion leads to a nice exchange where Michael apologies and Saru accepts her regret but makes it clear he still considers her a loose cannon. I felt myself warming up to Saru a little more this episode, especially considering how he commended Michael as a great former Starfleet member, at least up until the mutiny. It becomes clear pretty quickly that there’s some weird stuff going on aboard the Discovery, with strange spores being found coming off furniture, and peoples uniforms, and Michael works to piece it all together. When another Federation vessel is attacked, the Captain sends a boarding party over to investigate and volunteers Michael for the mission. It’s here we get to see why some of these episodes are rated TV-MA. As the crew searches through the dark corridors of the ship, coming across the grotesquely disfigured bodies of the dead, it feels like a horror film in space. They’re eventually attacked by alien creatures that reminded me of the Pinky demons from Doom 3, before managing to escape. As a result of all these events, which are revealed to have been tests, Michael is asked to become a full-time member of the crew. She suspects it’s because Captain Lorca is trying to create illegal biological spore-based weapons and could use her genius and skills to help out (thinking she’ll jump at the chance given the circumstances) but it comes as a surprise when he reveals they’re not creating weapons. Instead, they’re using the spores to create a new kind of transport technology that lets them teleport anywhere in the Universe and back in seconds, which would give them a tactical advantage in the war. He reveals he wanted Michael, not for her desperateness, but because her past actions showed “predictive” behavior, which is exactly what he’s looking for. It was a nice moment that tied in well with the development of the previous two episodes. 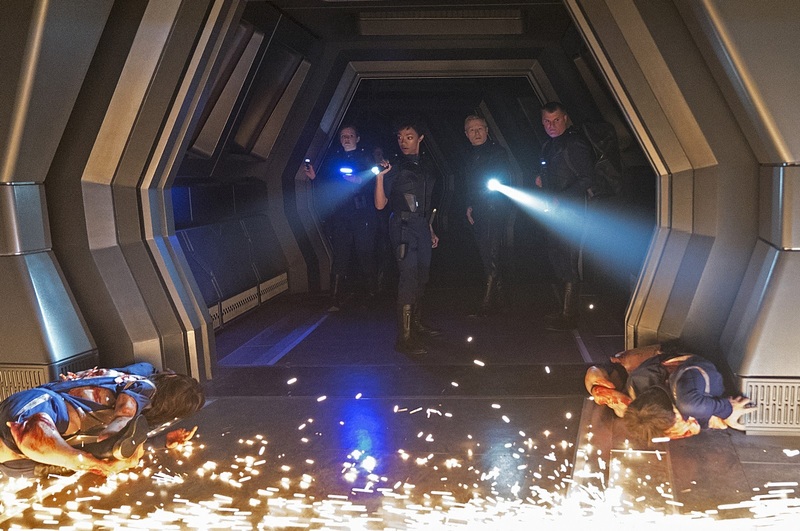 Despite this feel-good moment, the ending of the episode which showed Lorca observing a containment unit on the Discovery with one of the Doom looking alien creatures left me with an unsure opinion. Was he the one who unleashed the creature on the other ship? Whatever it implied, you get the feeling this is a gray character, and while he may seek peaceful solutions he’s not afraid to get his hands dirty. All in all, this was easily the best episode so far. It still doesn’t feel very Trek-like, and there are even more anachronistic elements introduced (the Federation didn’t know much about Tribbles in the Original Series, yet they have them as pets here, Michael and the Captain beam around the ship), but it’s shaping up to be a decent premium sci-fi show in its own right.